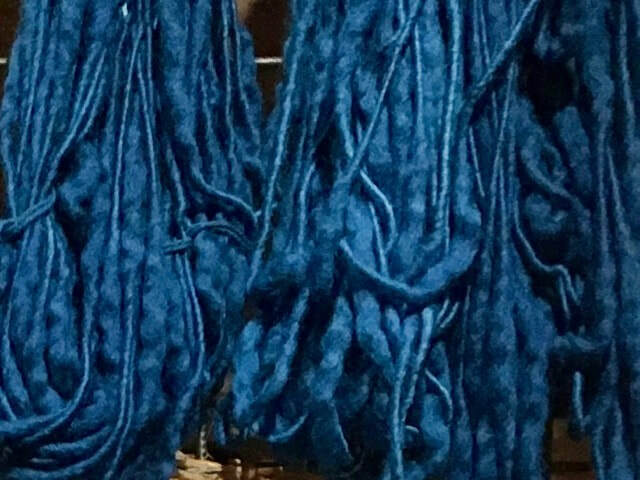 Woad was the indigo of Renaissance Italy (and long before). It’s fun to imagine Duke Federico relaxing in his woad-dyed jeans, but a more likely portrait is the Montefeltro’s, ruling family of Urbino in Le Marche, posing stiffly in blue silks and linens. At the opposite end of the social spectrum, shepherds of the Casentino were wearing woollen cloaks, fulled and napped to make them warmer. It’s gone upmarket since then. Remember that scrumptious orange coat Audrey Hepburn wore in Breakfast at Tiffany’s? 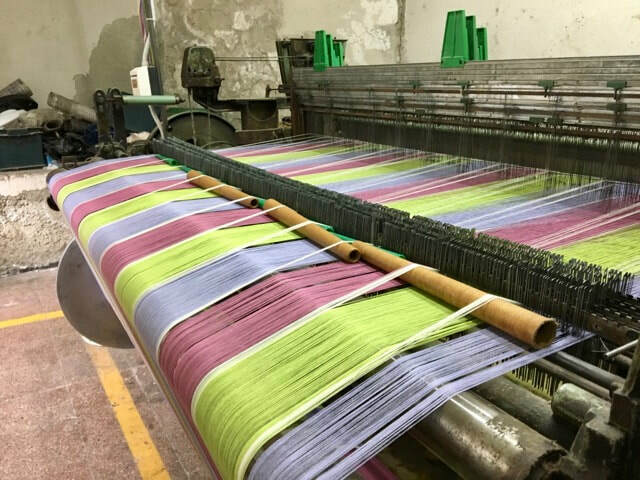 During this tour on the borders of Tuscany, Umbria and Le Marche, you’ll dye with woad, visit the makers of Casentino wool, cook a coloured feast and stay in a monastery and a castle. Really small group (maximum 10 people). 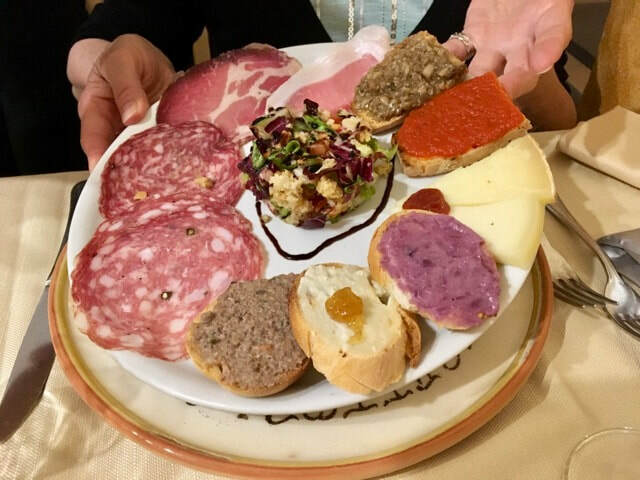 Arrival by 1 pm at Arezzo station (on the main rail line between Rome and Florence) where we’ll collect you and take you to a family restaurant for some Aretino specialities. Arezzo Province (Aretino is the adjective) lies at the extreme southeastern corner of Tuscany, bordering with Umbria and Le Marche. 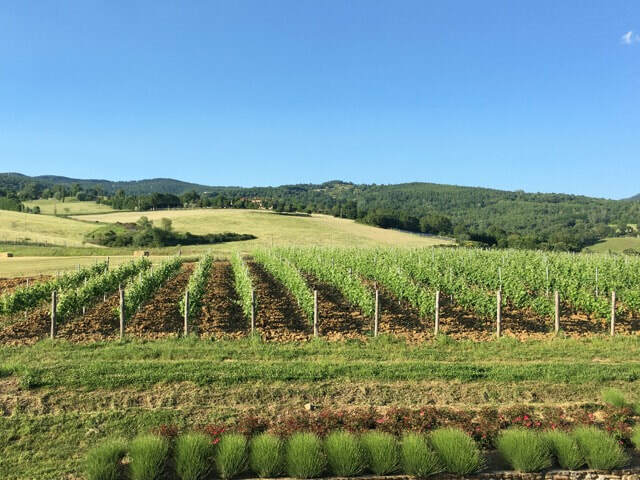 While Umbria gets its fair share of tourist traffic, few travellers discover the beauty, culture and historical importance of these border lands. 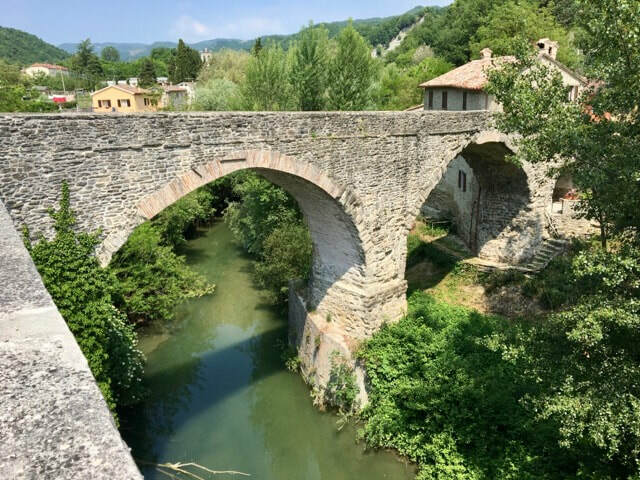 From Arezzo we cross the Tiber River and a mountain pass to the peaceful Metauro Valley where we find the ex-Benedictine monastery which will be our home for the next two days. Introduction to the tour, and a welcome dinner fit for any rotund monk. If we had arrived anytime between 1184 and 1508, we would have seen everywhere the diagonal blue and gold striped coat of arms of the ruling Montefeltro family. 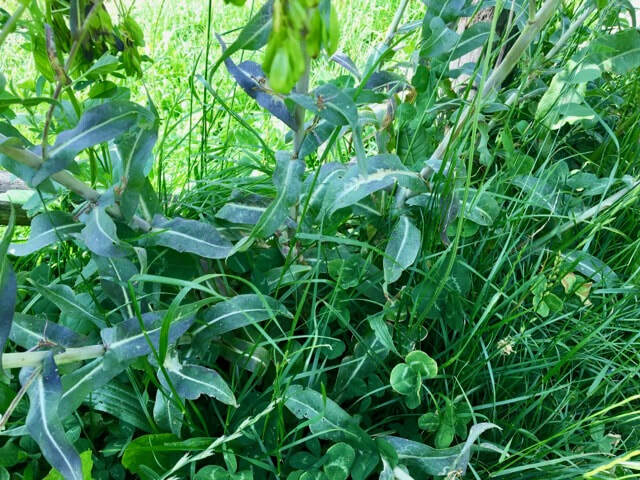 The blue dye was extracted from the leaves of the woad plant (Isatis tinctoria) and gold from weld (Reseda luteola). 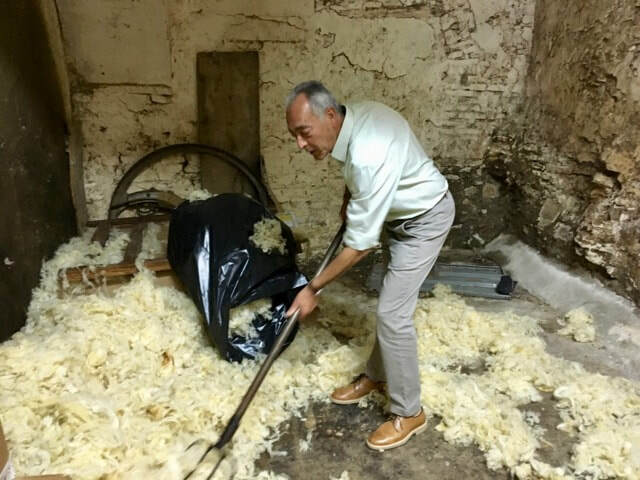 Massimo 'Max' Guerra is the curator of the Museum of Natural Colours at the monastery and is expert at dyeing with woad and weld. He leads us in a hands-on workshop using both plants to dye wool. 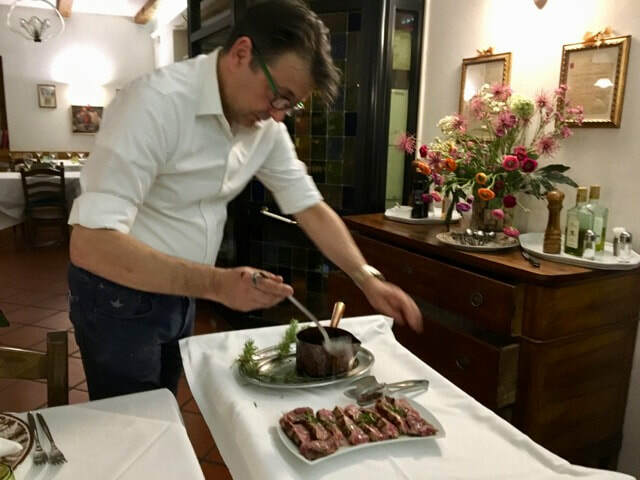 During gaps in the process Max will lead us in a fascinating tour of the museum, and you'll learn to cook a naturally coloured meal with the exuberant chef Patrizia Carlo. Today we explore two nearby towns in the Metauro Valley. At Mercatello sul Metauro Beatrice Cantucci guides us around her tiny town packed with Renaissance art and architecture. It's also home to a tombolo group, women who make bobbin lace. They invite you to their workshop and encourage you to have a go with the bobbins. 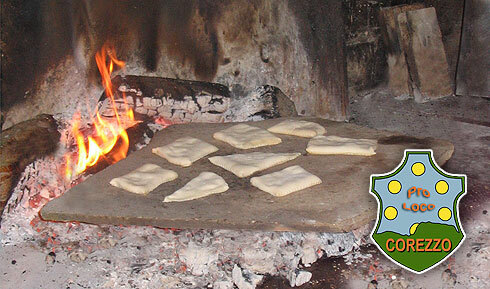 Meanwhile the men of the Academia del Padlot (Academy of the frying pan) are preparing our lunch. After lunch the versatile Max takes us to his home town of Sant’Angelo in Vado to visit the archaeological site of a noble Roman house with important mosaics. Dinner in a restaurant in a hilltop village overlooking the Metauro River. All too soon it’s time to cross back over the mountain pass to Città di Castello in Umbria. 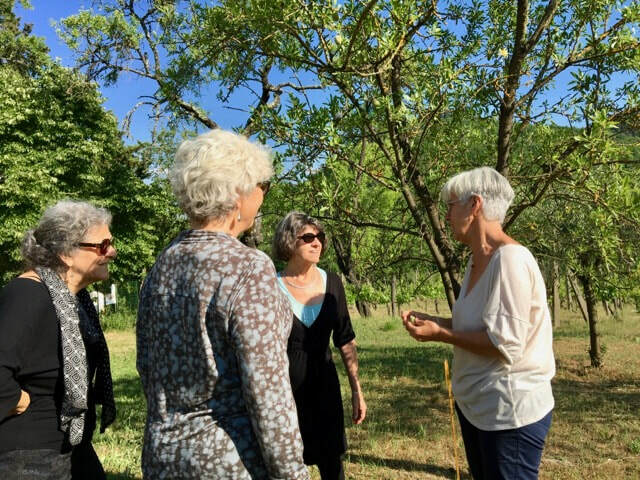 We stop first at the Archeologia Arborea, as Isabella dalla Ragione calls her excavation into fruit varieties and their uses in the past. 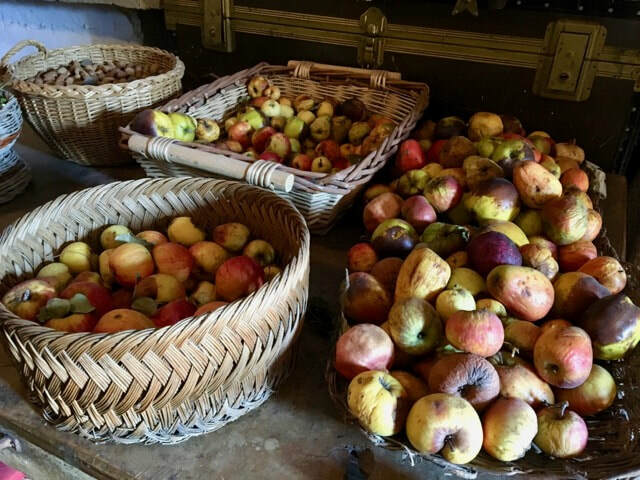 Unlike the Roman villa frozen in time, she maintains living examples in her orchards. 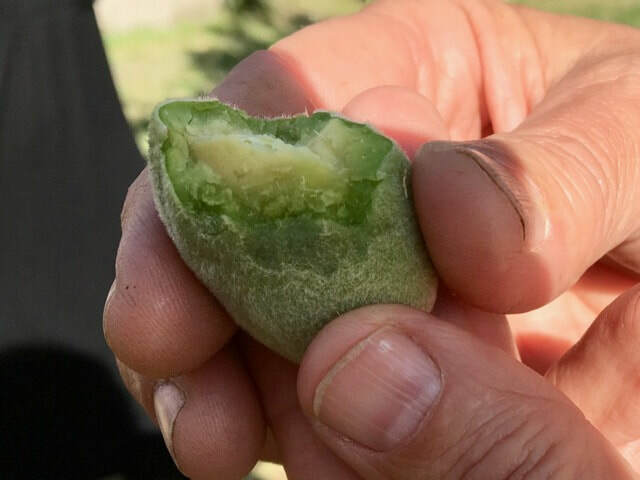 In May of 1474, Nicolò Vitelli, ruler of Città di Castello before his defeat the following month, might have been eating the same green almond salad which Isabella has prepared for your aperitivo. We lunch in Città di Castello and make a quick visit to the Vitelli Palace, which is now the city museum. 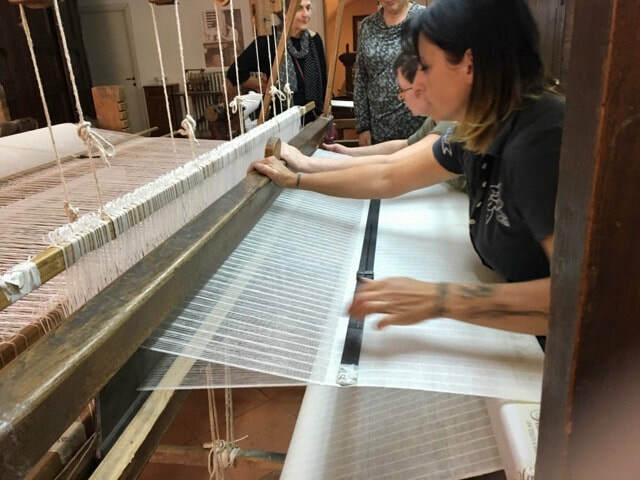 But our main objective is the Museo di Tela Umbra a Mano which still produces by hand the traditional fine linens famous throughout Europe since the 11th century. 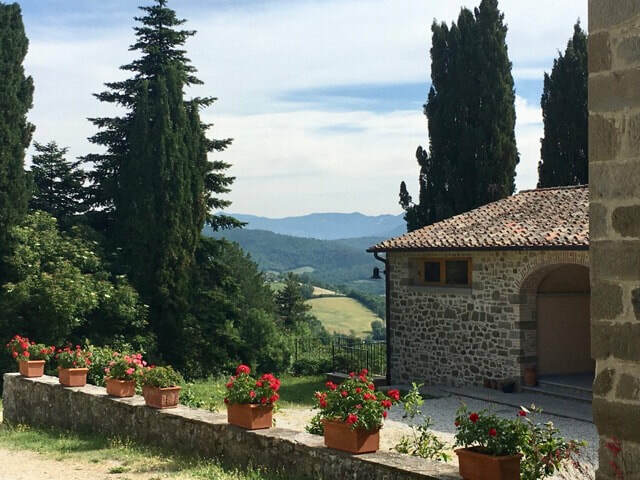 It’s only a short hop over the border into Tuscany, where we stay at a typical farmhouse in the upper Tiber Valley, only a couple of kilometres from the village where Michelangelo was born. The farmer rears Cinta Senese pigs, whose cured and fresh meat will be on the menu tonight. 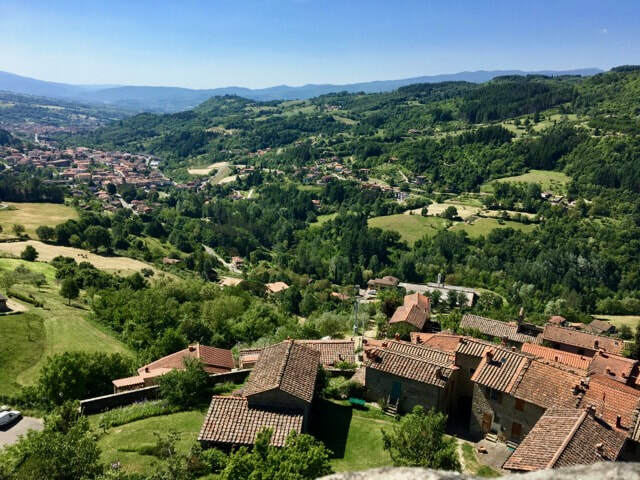 This morning we go to the town of Anghiari, spectacularly perched on the edge of a cliff. This is where in 1440 the battle of Anghiari took place which was commemorated in a now lost painting by Leonardo da Vinci. 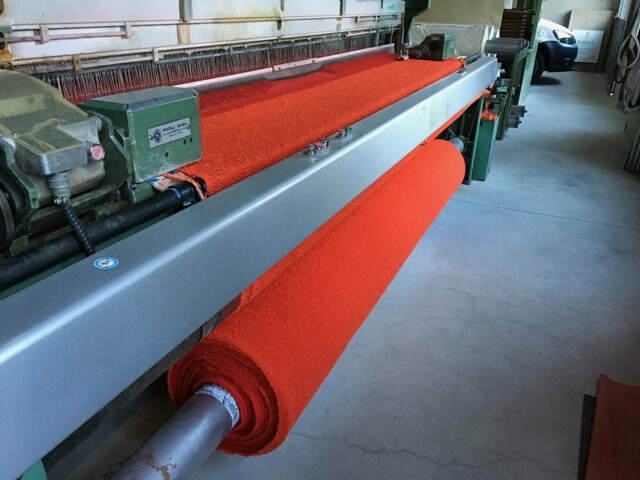 During our private tour of the Busatti family textile mill we’ll be taken into the bowels of the building to see working looms and carders some of which date back to the time of Napoleon. If you’re collecting scraps of beautiful fabric, after the tour you’ll be allowed to rummage through sacks of offcuts. Time for shopping. 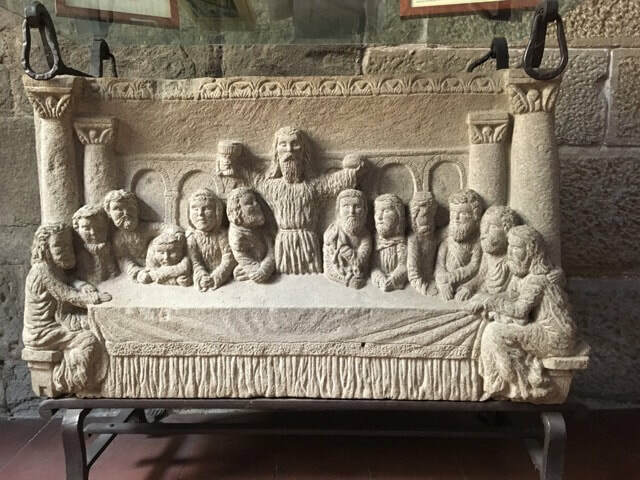 sightseeing and lunch in Anghiari. Not far from Anghiari is Sansepolcro, birthplace of the early Renaissance artist Piero della Francesca. One of his most famous paintings is a portrait of Duke Federico Montefeltro in profile, showing his broken nose (but not wearing his woad-died jeans). We see some of his masterpieces in the Civic Museum of his home town. You’ll have free time during which you can visit the Aboca Museum of Medicinal Herbs and the cathedral or relax at a cafe. 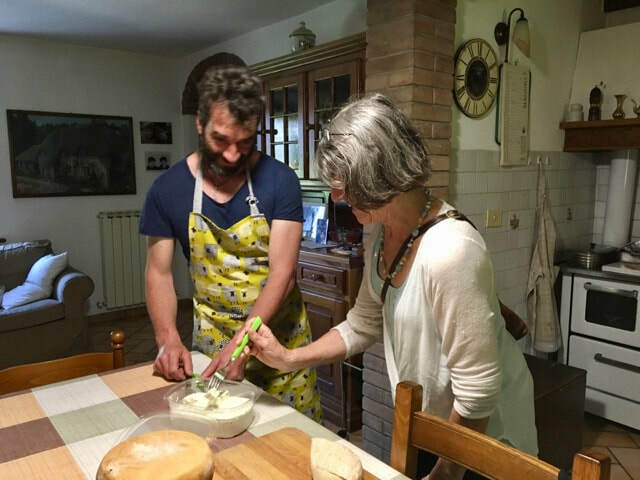 Carrying on the theme of almonds from yesterday, we learn how to make cantuccini (biscotti in English) with the cook at our agriturismo, followed by dinner. 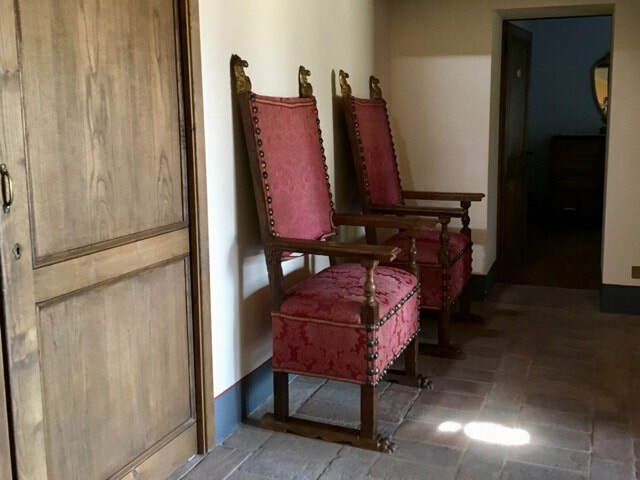 ​Our pilgrimage takes us up the Arno Valley to the Castle of Porciano, our home for the rest of the tour. It was built by the noble Guidi family in the 10th century and controlled by them until they were trounced by the Florentine Republic in 1440. 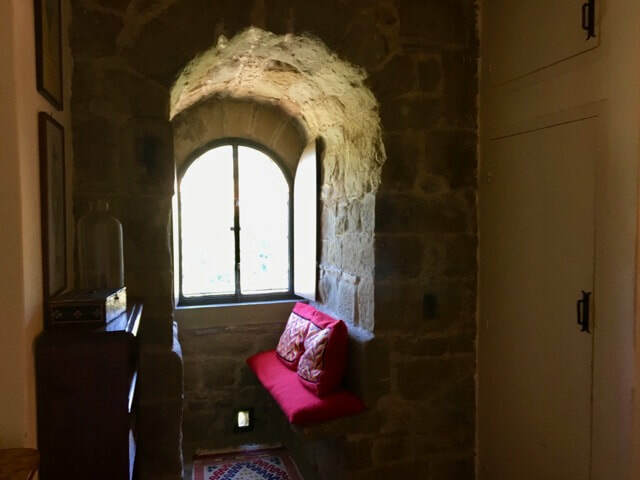 Since this is one of the many places Dante stayed during his exile from Florence, you may be sleeping in his room. 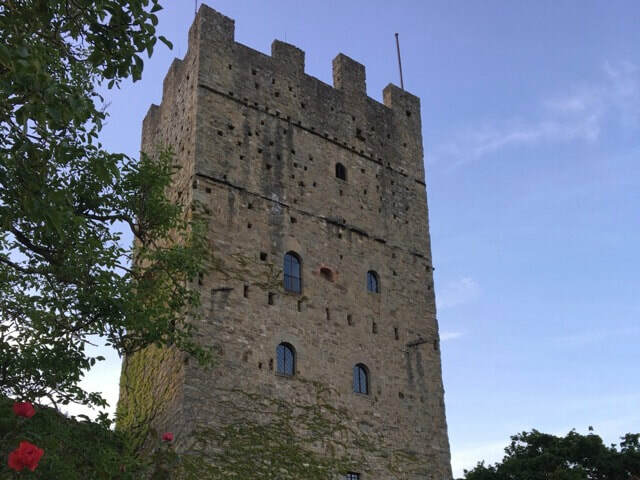 After a tour of the castle with the present owner Martha Specht, we travel the short distance to another Guidi castle town, Poppi. 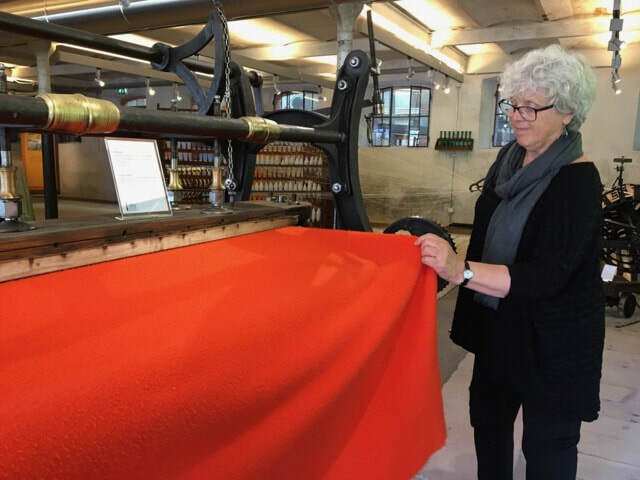 After lunch at a Slow Food cafe, we visit the studio of a weaver who wove a blanket for the Pope and curtains for Jacquie Kennedy. Dinner will be in a water mill near the source of the Arno River. 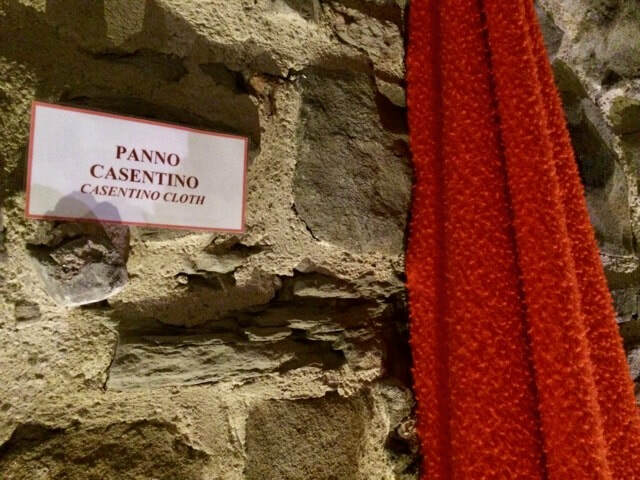 Today we meet panno casentino, woollen cloth woven in this part of Tuscany, the Casentino, at least since Renaissance times. The warmth of the fulled and napped fabric adapted it equally for nobles in their chilly castles and shepherds on wintery hillsides. 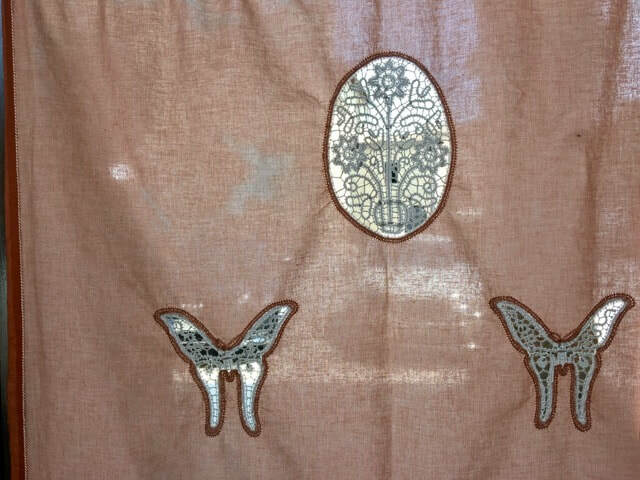 Originally handwoven, it survived mechanisation to become fashionable in the 20th century, assisted by the film Breakfast at Tiffany's. 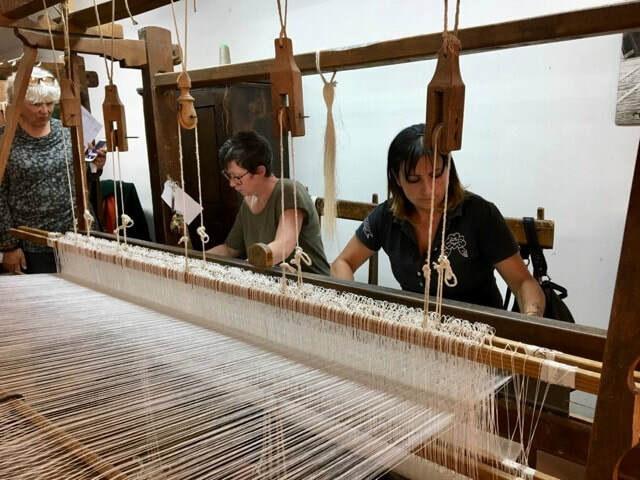 We visit a former mill, now a wool museum in Stia for a tour of the museum and a creative weaving class with Angela Giordano (projects for beginners and more advanced weavers). After lunch at a traditional restaurant in Stia, we tour a fully functioning mill with the owner with time for shopping at his showroom. Bring your credit cards! Dinner at a local restaurant. 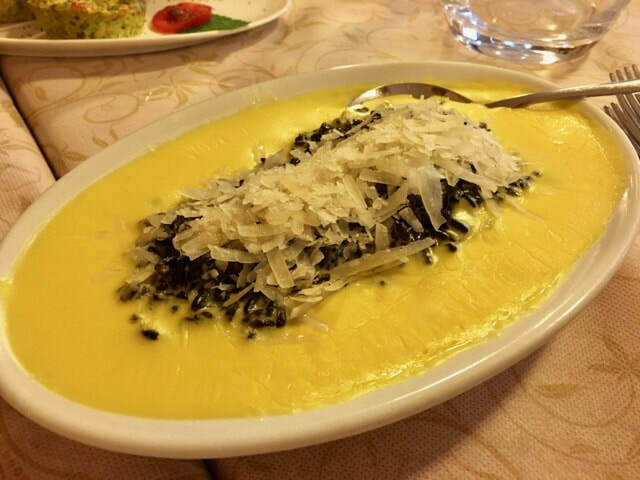 The Casentino is rich in local produce and dishes. Today we sample two of them at Claudio Cipriani’s farm. 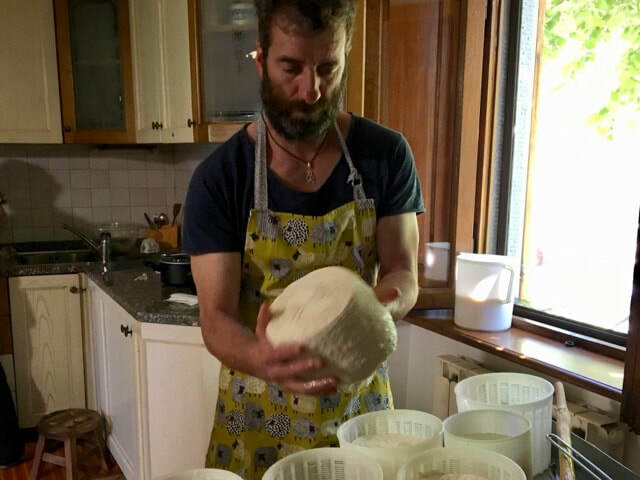 Claudio makes pecorino cheese from the milk of his sheep, which also supply the wool for workshops at the wool museum. Claudio’s mother makes the best tortello di patate (potato ravioli) in the area. 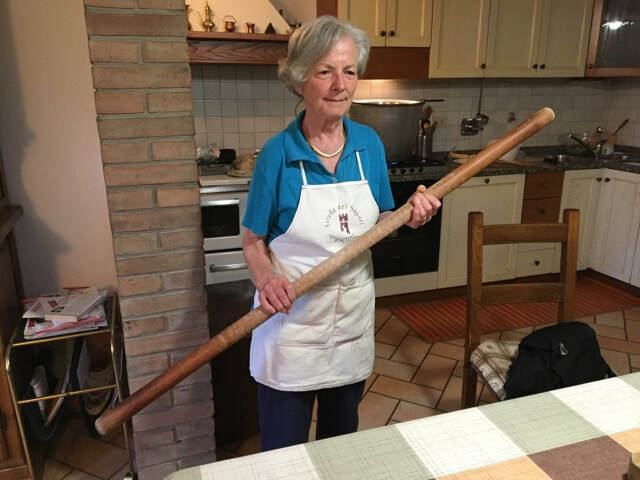 You learn how she makes the pasta, wielding her metre-long rolling pin (she jokes about it keeping peace in the household), and how to make a tasty filling from the humble potato. We lunch in their kitchen, and then return to the castle for a free afternoon. Dinner in a family restaurant. 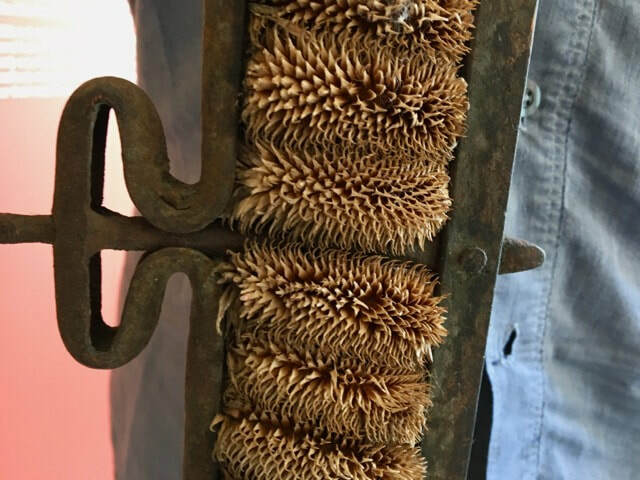 Have you ever tasted grilled ravioli? Now is your chance. 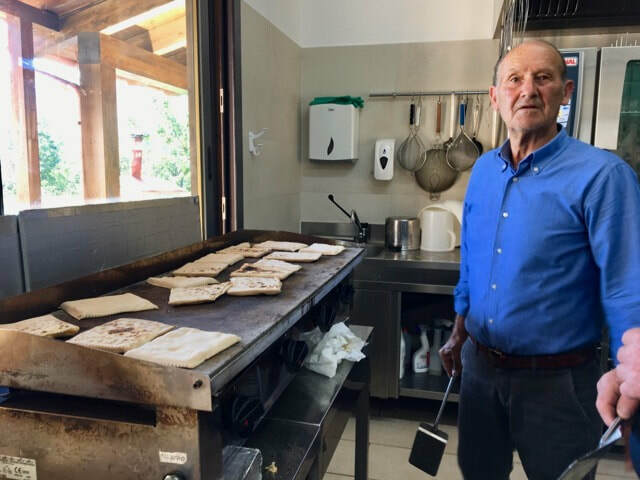 We have a lesson in the village of Corezzo, the only place in the world where we can learn how to make the tordello alla lastra, because they’ve registered the trademark! You can guess what’s for lunch. 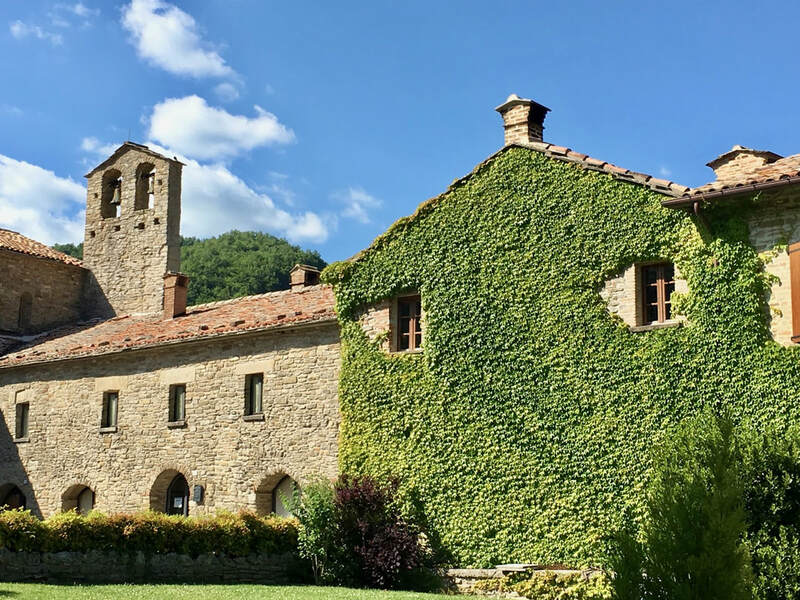 Next we follow a picturesque road through the mountains to the mediaeval church of Badia Prataglia, where the priest welcomes believers and heretics alike. A little further along the road we come full circle to another Benedictine monastery, that of Camaldoli founded in the 11th century. 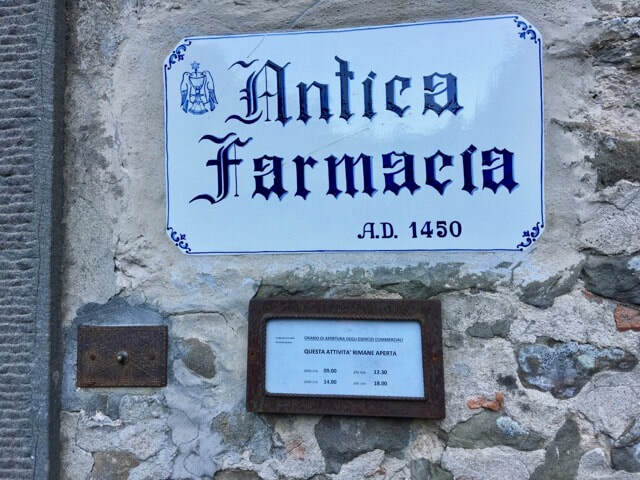 We visit the hermitage, monastery and pharmacy, at which the monks still produce and sell their herbal remedies and tonics. Another great shopping opportunity. Unless you love English school dinners, ours won’t be in the monastery’s refectory. We’re dining at the excellent cosy restuarant across the road. On our last day we return to Arezzo and squeeze in one last visit before we bid each other farewell. 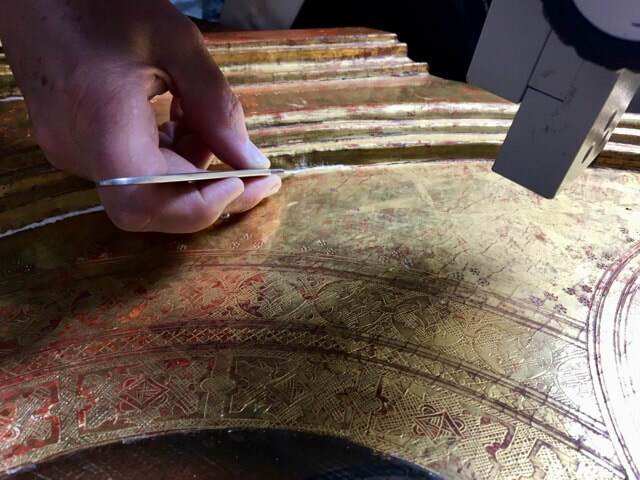 We have the rare chance to visit an art restoration studio. 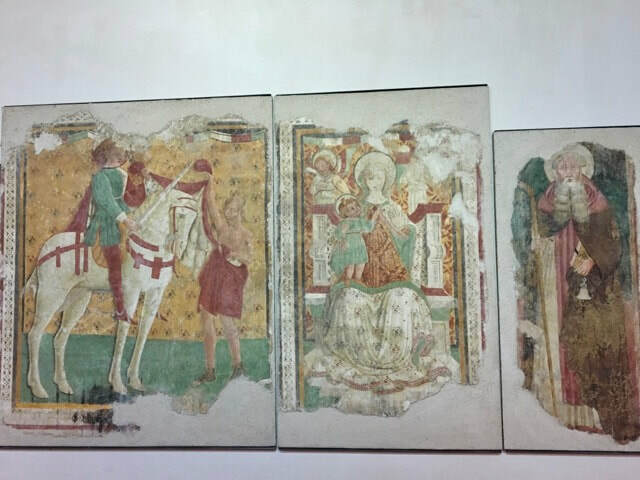 The restorers explain their work and you watch as they, for example, clean a 14th-century painted wooden panel. Utterly fascinating! 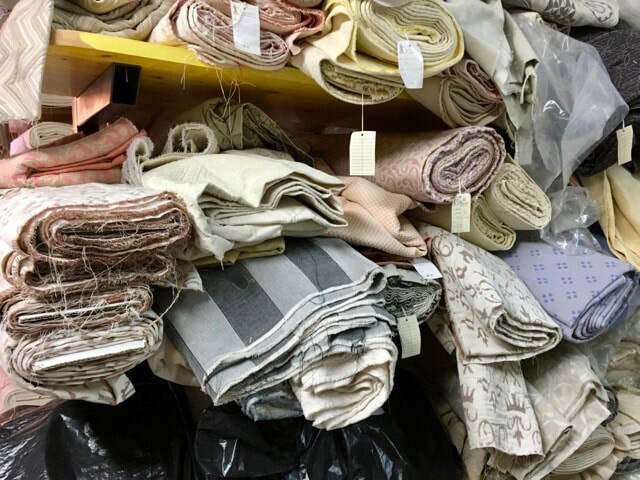 The tour ends on a high note in the studio upstairs you’ll get to see some of the pieces made by the Czech-American weaver Alice Stransky who worked with the likes of Christian Dior, Pierre Balmain and Judith Leiber, curated by her grand-daughter Oonagh Stransky. 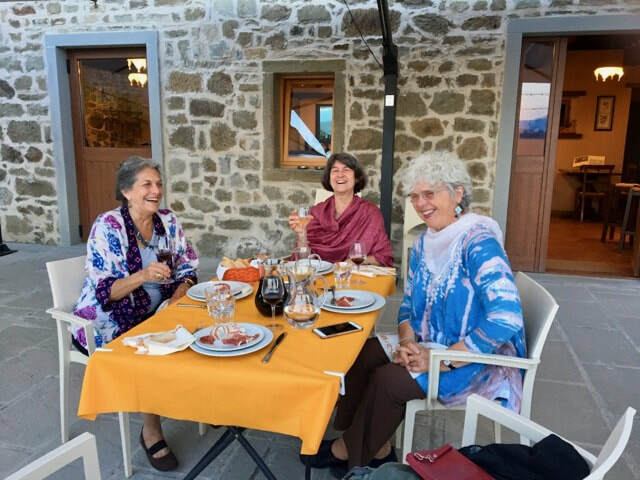 Optional group lunch (not included in fee) or we take you to the Arezzo station. 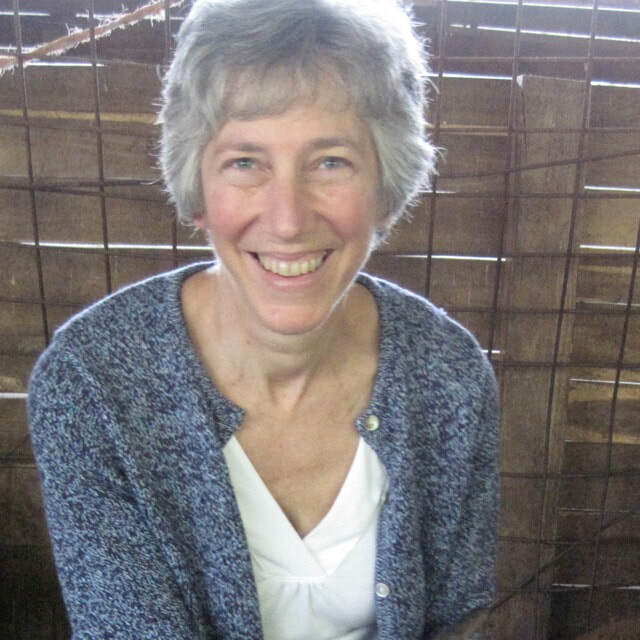 ​Cheryl Alexander has been travelling to Europe, particularly Italy, for more than 20 years. 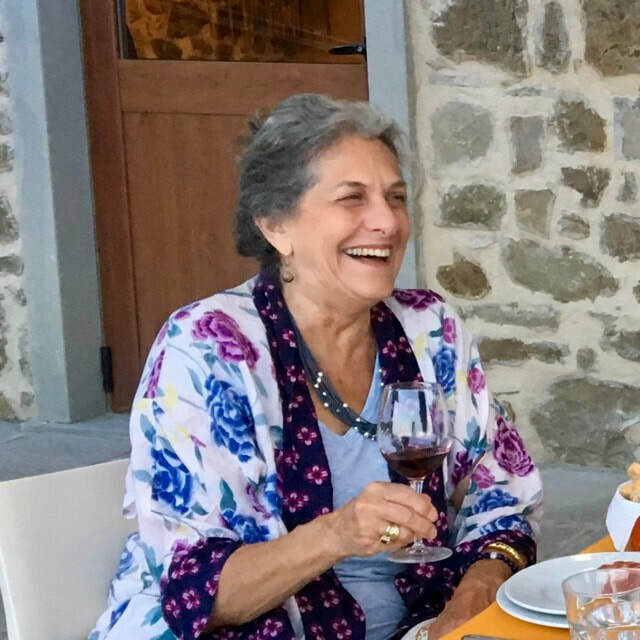 Her interest in Italy, its history, art and rich culture led her to purchase property near Orvieto, allowing her to spend more time there. She has made many friends among the locals who live in the area and are generous in revealing the region’s hidden treasures to her. 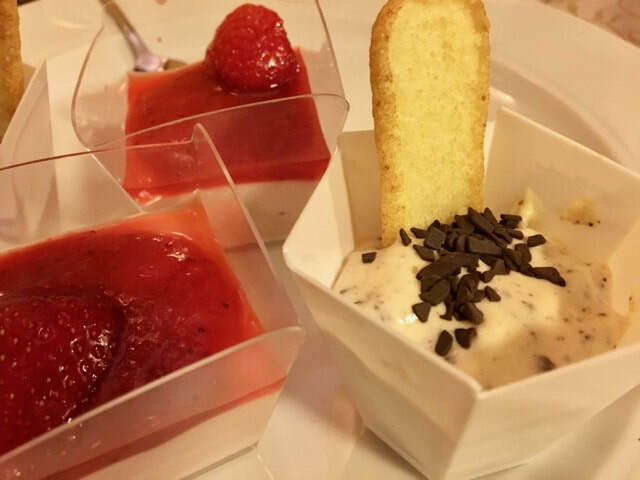 She shares these on the tours she offers from her company Italian Excursion. Her career as a social worker brings an understanding of people’s needs to the tour business, as does her more than 40 years experience in the field of wellness. Cheryl’s main home is near the beach in San Diego, where she spends as much time as possible with her two small grandchildren. She’s a counsellor and consultant in North San Diego County, an avid reader, health advocate and community volunteer. Claim your 5% loyalty discount if you've booked a small group tour with us before. Local ground transportation for 10 days (includes one group transfer between meeting point and accommodation and one return after the tour). Please check with us before you book your travel to make sure it fits the tour schedule. Transfers at times other than those provided for the group will be at your own expense. Arezzo railway station no later than 1 pm (nearest international airports are Rome and Florence). Pick up from Italian airports can be arranged at your expense. Arezzo at about 1.00 pm. 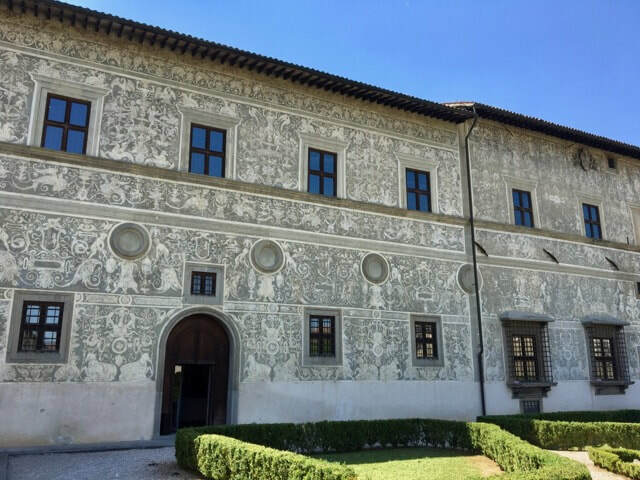 If you need to travel earlier, we will arrive in Arezzo at about 10.30 am from where you can catch a train, but you will miss the fascinating visit to the art restoration studio. You must be fit enough to climb steps, walk on steep cobbled streets and rough farm tracks.